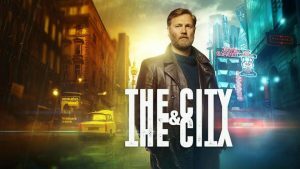 David Morrissey as Inspector Tyador Borlu, The City and The City, BBC 2018. Two cities in one space, each unseeing the other – until they clash. 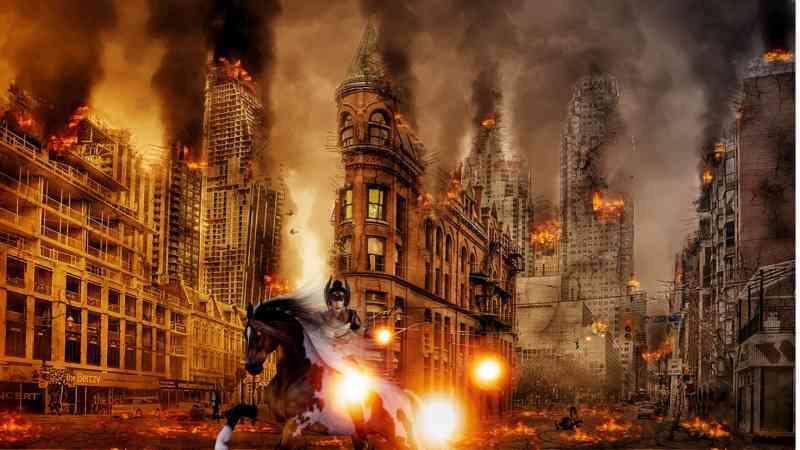 I’ve been reading and watching The City and the City by China Mieville this week. Two cultures in permanent conflict, sharing the same space, each city diligently ‘unseeing’ the other. It made me want to create a culture clash of my own. So after my romantic fantasy title generator proved popular, I have created a Fantasy World Clash Title Generator. The trick with this one is to imagine each half of the generated title as a whole culture, which is in essential conflict with the other half of the title. So, say you get The Sky and the Circle. That could be a race of air-born people who choose to remain forever separate from the grounded people of the Circle they see below them. The Circle could be the Earth/a particular part of the world such as a lake or crater / a sinister circular structure… Straight away you think of someone falling out of the sky and into the circle, or maybe climbing up out of the circle and finding themselves in the sky. Adam Roberts’ ON and Kenneth Oppel’s Airborn each worked with a clash of up/down cultures a little like this. I like the air of gravitas this title generator creates! Remember the rather spooky The Living and The Dead from the BBC last year? Adding THE in front of each half of the title gives it a certain dignity, a certain… genre-ness. Yes, it’s silly, but it’s good for getting creative juices flowing. Click the link below to go to the Fantasy World Clash Title Generator. It will create a simple title. I’ll add to the random word lists as time goes on. You can buy China Mieville’s brilliant The City and The City here. Mieville has written a lot of stuff, none of it conventional. I heard he is challenging himself to write a book in every genre, so he sounds like my kind of person. How often have I wished that Stephen King would turn his fantastic observational skills to satire, or that Lee Child would pen a historic adventure romance? I get that the money is, apparently, in finding a genre and sticking to it, but how dull. Surely it’s more fun to write well in whatever form you choose! Polymaths are rare these days but two hundred years ago it was common for those privileged with leisure and money, to pursue many interests. Writers were also explorers and archaeologists and scientists and mathematicians. They painted and wrote music and presented experiments to the Royal Society. Why is specialisation so prized today? Why do we get all sniffy when actors reveal that they can also sing or direct or climb mountains? Why do we get especially uptight when models take up an additional pursuit? People are not one dimensional! If we can admire diversity of skill in Benjamin Franklin or Leonardo Davinci or Thomas Edison then why not in Ellen Degeneres or Cara Delevingne or Mary-Kate Olsen? Maybe Sandi Toksvig or Bruce Dickinson or Lucy Worsley? People who write books and make TV and fly planes and act and do academic research and design material objects. Clever people tend to be clever all round. Look at Stephen Fry. Actor, author, comedian, poet and more. Give me more polymaths, please. 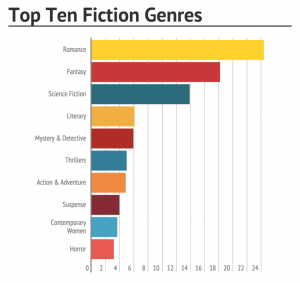 And a note to my favourite authors – please write more, in more genres! Meanwhile here’s the clash generator. Happy generating. Share your world clash titles in the comments below!